Every year in Carp, the graduating HS seniors play the dangerous game of Panic. This year, it's Heather and Dodge's turn to try for the winner's purse of over $60,000. -- a fantastical situation grounded by gritty realism. Is it crazy unbelievable that seniors play a game every year where people often end up dying and getting paralyzed by doing stunts like breaking and entering, running across a busy interstate and walking a tightrope without a net and the police don't/can't do anything about it? Yes. But Oliver sells the hell out of it with down-on-their-luck characters that have heartbreakingly believable motivations. -- the games. 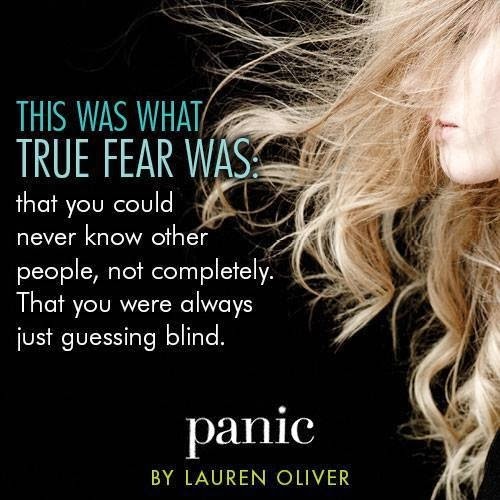 I would never, ever join Panic (way too wimpy), but I don't have to because Oliver described the feeling of participating so well, I felt like I was there. Heart pumping thrills. 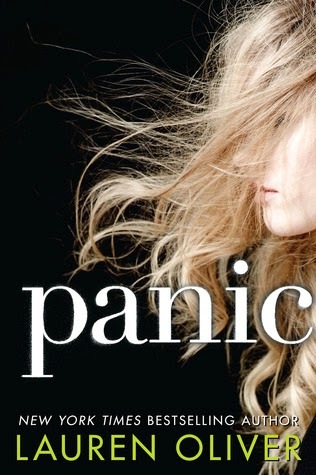 PANIC will be out March 4th, but you can already go and read the first chapters on iTunes. FTC disclosure: eGalley from Edelweiss. Also, Lauren Oliver is a friend. And this not even taking into account the series I still need to start - where I own the first book but haven't read it yet. I'm drowning in series! How about you? 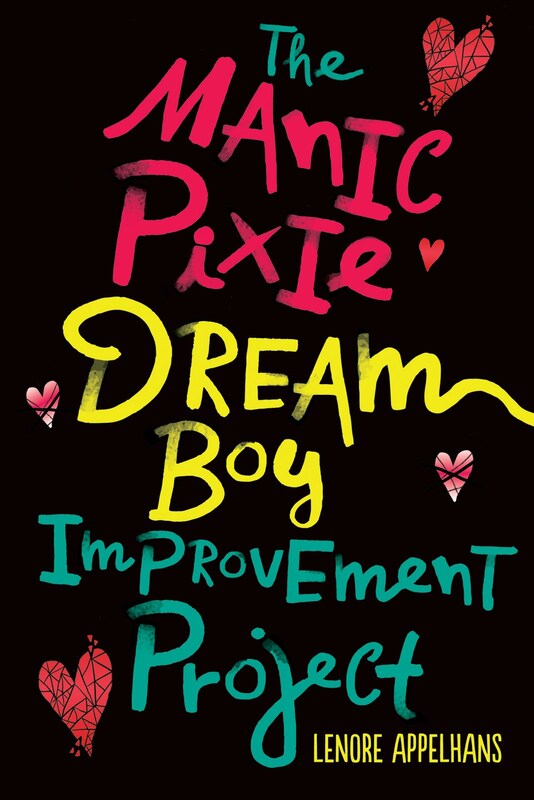 I actually covered this "books that make you weep" topic on the blog back in 2008 (is that 6 years ago? OMG) and those books still stand. I've reread DOOMSDAY BOOK by Connie Willis again since then, and yep, still made me cry. There are not that many books since then that have me reaching for the tissues, but I did manage to rustle up three more to add to the list (four if you count THE HUNGER GAMES).